...and we are sooo happy for that. 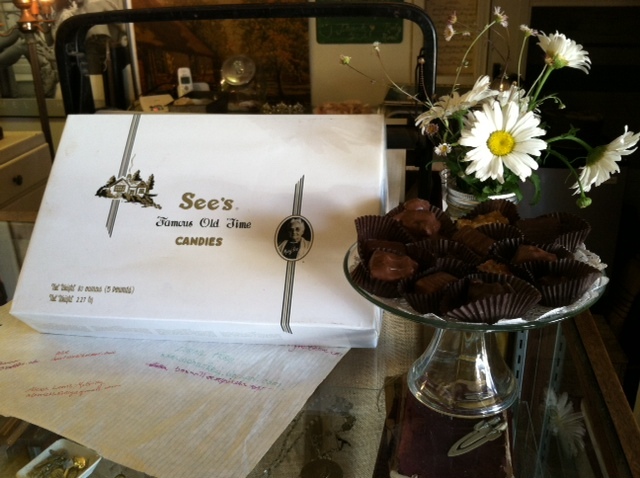 Last week, Kathy was so very kind to share her 5 pound box of See's candy that she got for her birthday with us and all of our visitors. Thank you Kathy. Phil, her very charming and thoughtful husband knows that she loves nuts and chews, and has the sales gal put together a box just for her. Thank you Phil. Traditions are important...I'd say critical. We get up on saturday and there are yard sales, we eat turkey on Thanksgiving (this one I tried to change and it didnt go over so well), and there is See's candy for celebrations! Thank you See's candy. 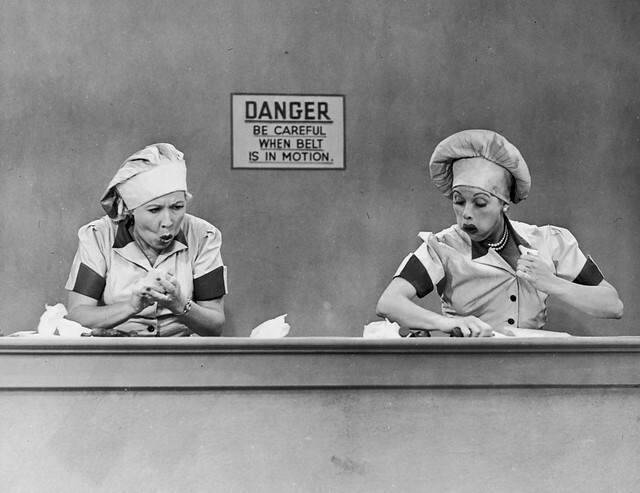 When Ruby comes home from her summer away, we intend to sit her down with us and have her watch the episode of "I Love Lucy" when Lucy and Ethel work in the candy factory. There are some things we need to take responsibility for, and this is one, maybe we'll watch it with a box of our own.